The Bible is one of the greatest blessings bestowed by God on the children of men. It has God for its author; salvation for its end, and truth without any mixture for its matter. It is all pure, all sincere; nothing too much; nothing wanting. 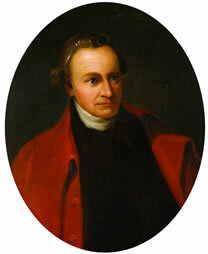 Patrick Henry, once interrupted while engaged in Bible reading, held up his Bible and said: "The Bible is worth all other books which have ever been printed, and it has been my misfortune that I have never found time to read it with the proper attention and feeling till lately. I trust in the mercy of Heaven that it is not yet too late." The Bible must be considered as the great source of all the truth by which men are to be guided in government as well as in all social transactions. "Education is useless without the Bible. The Bible was America's basic text book in all fields. God's Word, contained in the Bible, has furnished all necessary rules to direct our conduct." 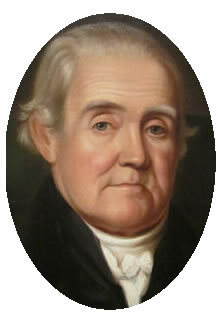 American lexicographer, textbook pioneer, English-language spelling reformer, political writer, editor, and prolific author. Every major industry is changing. Communications, banking, entertainment, commerce, transportation, manufacturing, and publishing are all being transformed by the Digital Revolution. The digital revolution, however, has not changed the deep inner need in every heart to know God. People around the world are searching for answers to life’s burning questions, and—more than ever before—are finding them in Jesus. 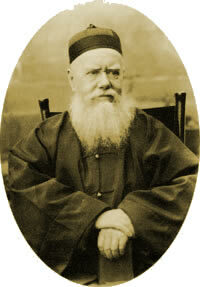 At the turn of the 19th century, there were less than one million Christians in China. By the turn of the 20th century, that number exceeded 100 million. In 1900, the church in Africa numbered less than 9 million. By 2025, there are an estimated 625 million African Christians. The growth of Christianity in the Middle East has been likewise explosive, especially in Iran, a country where converting to Christ carries stiff penalties. The growth rate of the Persian church is estimated to be at 20% per year since 2012 and climbing. All of these bourgeoning communities have one thing in common, the need for Biblical resources and training materials so that new believers will not only be able to grow in their faith but share it with others. With the digital revolution now reaching into every corner of the world, it is now possible for every person in any country, speaking whatever language, can access the Biblical resources they need. This is the goal to which the Digital Bible Society had been working since 2001 and, with your help, will continue to accomplish until everyone has full access to the Bible and Christian resources in their own language. In spite of the digital revolution and globalization, nearly half of the world’s population is still without ready access to the Bible in any language, much less their own. Furthermore, two thirds live in countries where government censorship prevents them from purchasing one. 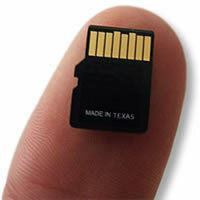 The Digital Bible Society aims to remedy this by freely distributing the Bible and other Christian resources on SD chips, flash drives, DVDs, hard drives, solar-powered audio players, projectors, old fashioned ink on paper, and anything at our disposal. Basically, we use any media at our disposal to replicate and allocate the Word of God. Partnerships with over 170 content providers such as members of the Forum of Bible Agencies and the Bible Societies , Faith Comes by Hearing and the JESUS Film Project, as well as our relationships with distributors like Open Doors, Bible League of Canada, and the Deaf Bible Society enable us to legally provide the Church abroad with the critical resources she so desperately needs and in a timely manner. Since 2001, the Digital Bible Society and its partners have compiled twenty-five language libraries and distributed hundreds of millions of Christian resources all over the world. We have libraries in Chinese, Arabic, Farsi, Hindi, Spanish, and many other languages with more on the way. The full extent of such a resource’s impact cannot be measured since these libraries are free-to-copy and free-to-distribute. We also distribute our resources over the internet. The Digital Bible Society sponsors projects like Find-a-Bible and the Bible.Cloud which are currently helping Christians around the world to discover, secure and distribute Bibles and resources in multiple formats and methods. Hundreds of Bibles that have been long out-of-print, are now available at cost Online through Print-on-Demand. Since all of our materials are made available to churches, mission agencies, church planters, teachers, leaders and disciple-makers at cost or free-of charge, the Digital Bible Society subsists solely off of the generous assistance of our donors. Your partnership, be it in the form of financial gifts, prayers, or the hands-on distribution of Christian resources, enables us to continue the work of supplying the church in fulfilling The Great Commission (Matt 28:18-20). We are now preparing hundreds of additional Bibles – and tens of thousands of resources – for sharing digitally. In 1997, Time-Life magazine named Gutenberg's printing press as the most important invention of the last thousand years. In like manner, the A&E Network identified its inventor, Johannes Gutenberg, as the most influential person of the millennium. The printing press turned the world's economic, social, and spiritual order on its head. Overnight, the teachings of Luther, Calvin, Zwingli, and others spread across Europe like wildfire. The printing press paved the way for the Reformation, which introduced the gospel to untold millions. The twentieth century saw another revolutionary invention that is having a far greater impact than the Gutenberg press, the digital logic-gate. In the space of a few decades, the digital revolution dramatically transformed the economic and social order of the planet. It has also changed the missions world. On any given day, millions of souls will search for God on the Internet, while believers around the globe evangelize with multi-lingual movies on their cell phones and search the Scriptures with all manner of devices. The last century saw the most explosive growth of Christianity in human history. It is estimated that the Church in China miraculously exceeded 100 million believers and continues to multiply with a growth rate of 5 to 10 million new believers every year. In the last few years, an unprecedented outpouring of grace and salvation has been sweeping across the Middle East with millions coming to Christ across the Islamic world, a region hitherto closed to the gospel and where Biblical resources are scarce and evangelism and Scripture distribution are often forbidden. In order to make the most of the digital revolution, the Digital Bible Society has partnered with Bible translators, mission agencies, and Christian content creators to amass digital Bibles and other resources: commentaries, discipleship materials, classic Christian literature, children's resources, worship MP3s, hymnals, videos (such as The Jesus Film and The Hope), audio files, and many more into quality, free-to-copy libraries. Once a language library is completed, DBS partners with those serving individual target regions to freely distribute these libraries where most needed. Thus far, the Digital Bible Society has produced sizable resource libraries for distribution in Chinese, Arabic, Farsi, Russian, Urdu, Turkish, Vietnamese, Burmese, Bengali, Indonesian, Malaysian, Spanish, and a number of other languages. These Treasures Libraries are available on a variety of computer media or directly from our website, and may be accessed on any number of devices including computers, tablets, cell phones, mp3 players, and hand-held projectors. Furthermore, any of the libraries may be freely copied and distributed, either digitally or via hard-copy printouts. We invite you to partner with us in "making God's Word accessible in every language."